A FABB member recently asked us why VDOT is building the I-66 parallel trail on the highway side of the sound wall and exposing the trail users to unhealthy air. This is a great question and is one that should be asked of VDOT at the public meetings this week. One of the reasons FABB encourages members to attend public meetings is you never know who may identify a problem everyone else has overlooked. We also found that having a mix of attendees increases the likelihood that someone will have the personal background and experience to raise important issues related to their neighborhood. Regarding air quality on the proposed trail, we’re told that scientific research has concluded that when air pollutants hit the sound walls they are forced upward and then are disbursed over a large areas. 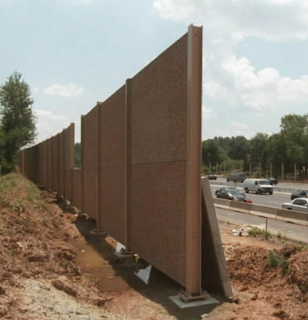 This is great for homes near the sound wall because the air quality on their side of the barrier measures 50% better/cleaner than the air on the traffic side of the wall. For anyone using the proposed trail, however, this means that pollutants are directly flowing over the cyclists and pedestrians and, in certain wind conditions, concentrating along the wall. It would be good to know whether or not the Environmental Protection Agency and the Virginia Department of Environmental Quality have been consulted about the placement of the shared use path. And, if the answer is no, then why not? Please continue to share your questions and insights with VDOT. If you can't attend the public meetings, then please send them an email at Transform66@VDOT.Virginia.gov.